The perfect gift for any littke girl and her beloved doll, The new range of Silver Cross hand-made dolls prams have arrived. 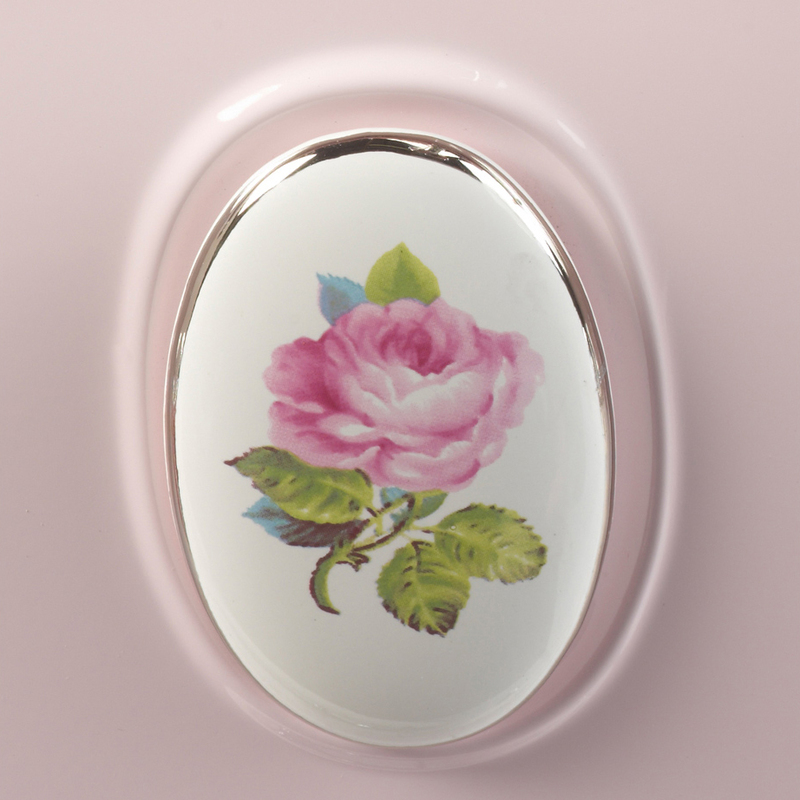 The newest addition to the collection is the beautiful Chatsowrth range which is available in Rose feature and a gorgeous ceramic plaque decorated with each pram's particular flower. Silver Cross doll's prams are still handmade in Yorkshire, using the same tried and trusted techniques handed down since it was founded in 1877. 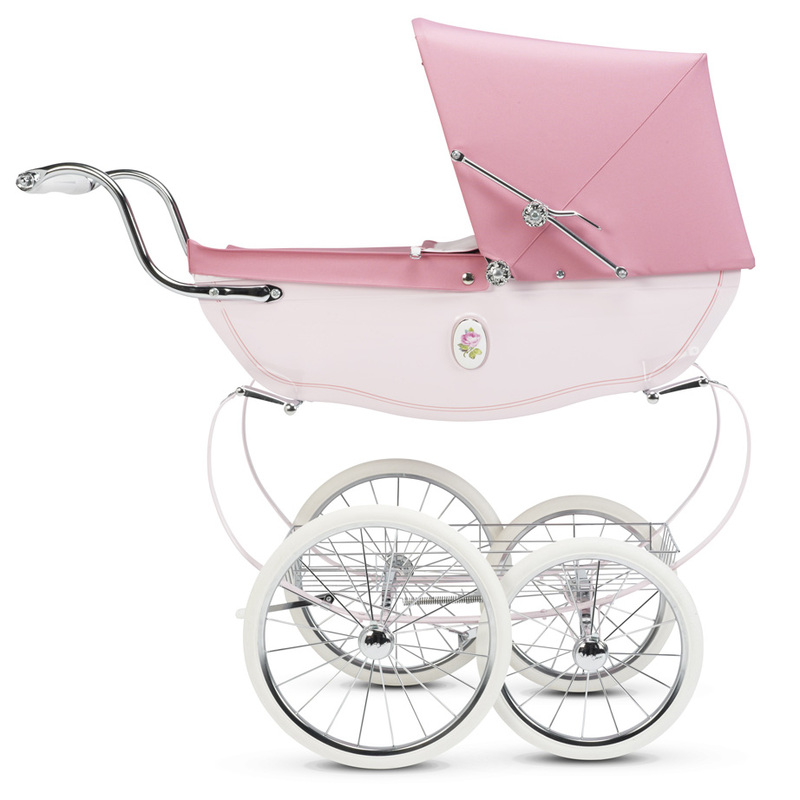 This beautiful, luxury gift is the ultimate doll's carriage. Handmade in Yorkshire, England, every single one of our exquisite dolls prams is handmade to the same exacting standards we have employed for generations. The delightful Chatsworth features beautiful ceramic plaques to the sides of the body depicting the flower of its chosen name! A matching changing bag is also included. Featuring a charming illustrated flower detail. A beautiful matching changing bag is also included. The hood and apron comes fully supplied with the Chatsworth and is fully lined and beautifully upholstered.